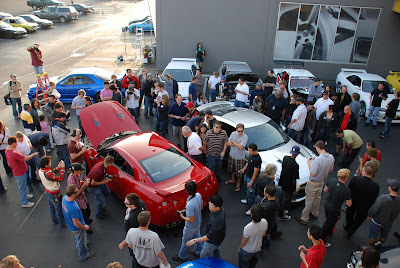 April 9th at Universal City Nissan in Los Angeles, there will be a GT-R event. 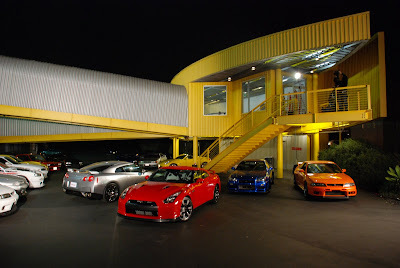 US version R35 GT-R , JDM R35 GT-R, plus heritage GT-R's , Z's , and exotics. It will be from 5 pm - 9pm. Everyone is welcome. GT-R owners please contact me with your information,so I can secure VIP parking. Come on out if you can. It was a cool event to see the older Skylines as well as the new GT-R. Did they ever fire up the GT-R so that you could hear its power? The older cars there, were GT-R's also. The new GT-R was driven in and out. Its really not too loud of a car. The dark silver R33 with the T51R on it, that one you can feel.